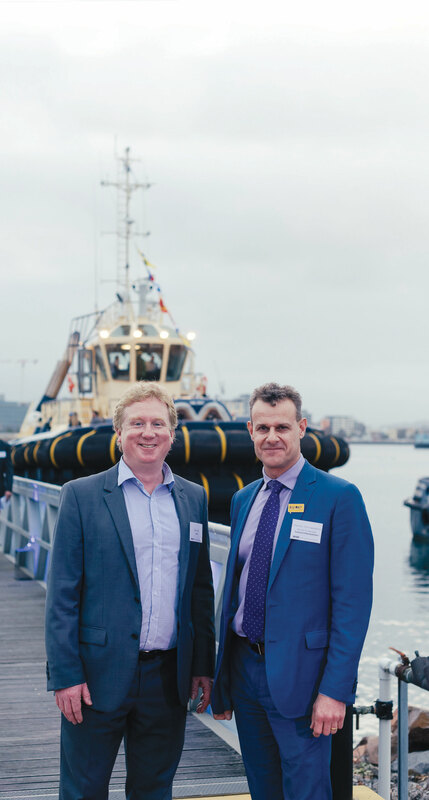 The crowds were gathering at the Port of Newcastle’s Dyke Point to attend the naming ceremony for the new tugboat, Svitzer Glenrock. Guests were greeted with a string trio making its way through the standard light classical repertoire, with a smattering of Bach, Dvorák, Vivaldi and others. The Glenrock itself was open for guests to clamber around in and explore the innards of the Damen ASD 2312 tug. While guests were chatting and admiring the vessel, a few dolphins swam by and two other tugs spun around in circles. Ray Kelly Jr gave the Welcome to Country and spoke about his family’s connection to the area. He said he appreciated the tug’s name and the connection to the area it represented. Then, it was time for the main event. 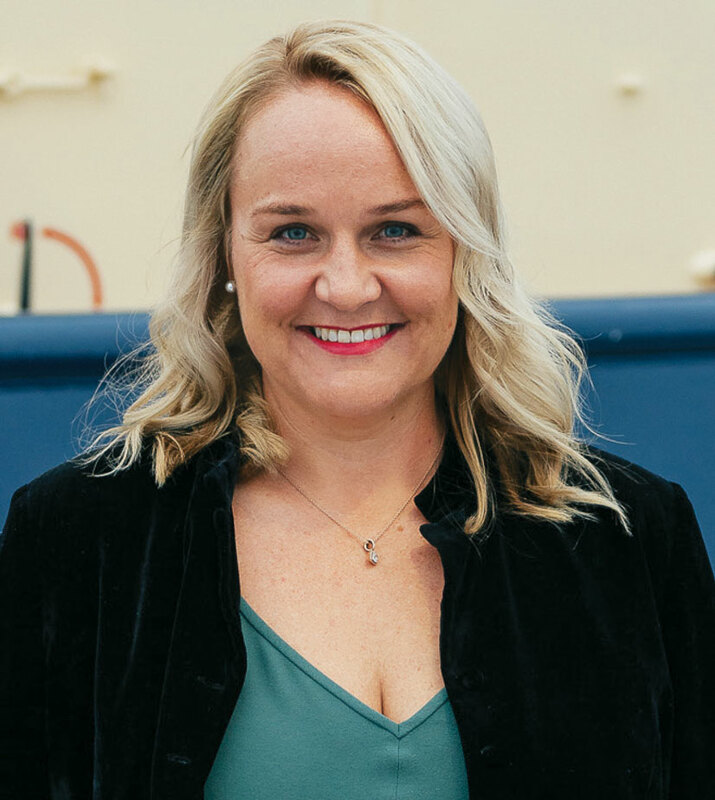 The “naming mother”, Emma Fensom (who is also the chief operating officer for the Port Authority of New South Wales) boarded the tug, donned safety glasses and smashed a bottle of champagne on the vessel. 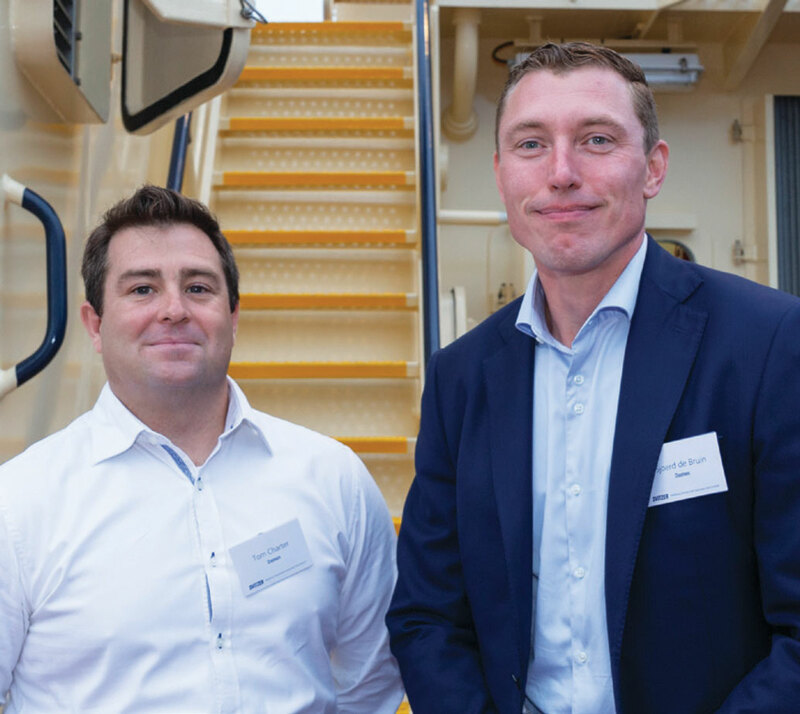 Then, Svitzer east coast general manager James Mather took the stage and said the vessel was named by the company’s Newcastle employees. Mr Mather also said Glenrock was a place of regular habitation for the Awabakal people. Next, Svitzer managing director Nicolaj Noes was up. “The Glenrock, she’s a special lady,” he said. “If you have a cape-size coming through the channel and it loses power, you want someone like the Glenrock there,” he said. 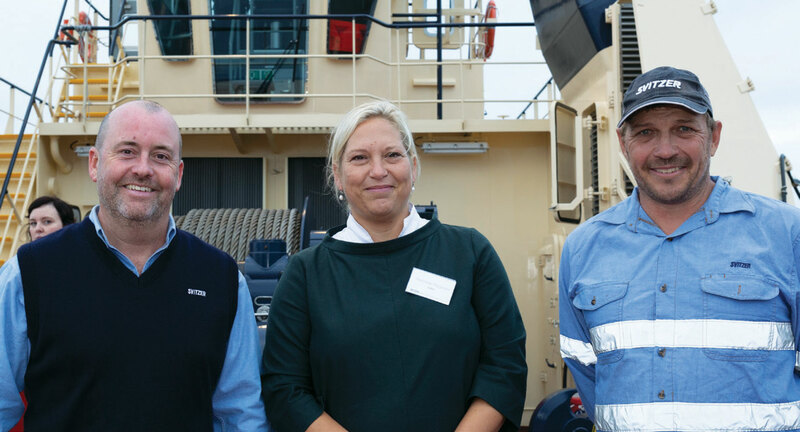 Svitzer global CEO Henriette Thygesen spoke about the importance of a naming ceremony, which is known as a christening in Denmark. “A ship has a soul – this is not mere old- fashioned superstition, but it is commonly believed, even in modern times, that a ship is almost like a living being,” she said. “There are many parallels between naming ships and naming newborn babies. 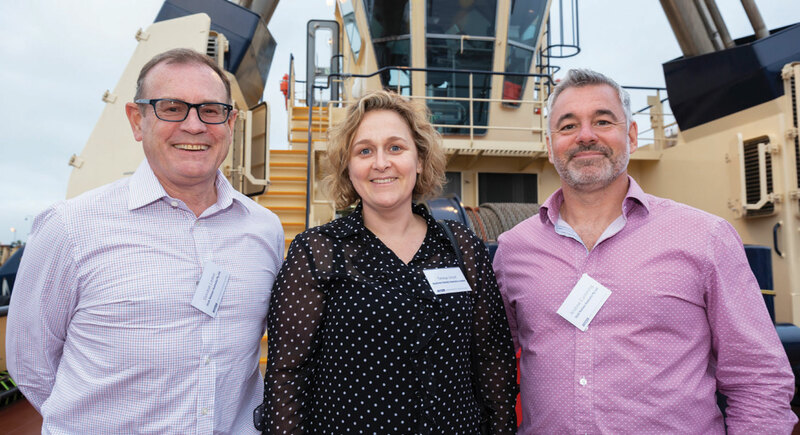 Ms Fensom said she was honoured to be the naming mother for the Svitzer Glenrock, and she explained that the new tug would be instrumental in allowing more, larger ships – particularly fuel tankers – to call at Port of Newcastle.